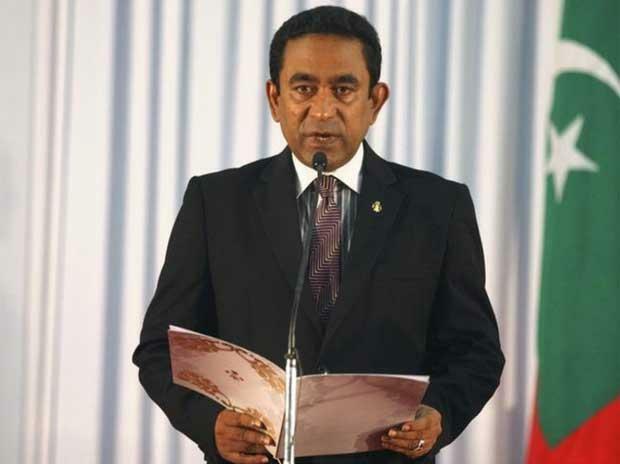 Prosectors in the Maldives on Sunday charged a top aide of former strongman leader Abdulla Yameen with embezzling millions of dollars from the tropical tourist paradise. The charges against high-profile former justice minister Azima Shakoor come days after Yameen was hit with his own indictment on graft charges after his shock election loss last year. Maldivian police had earlier announced they had evidence linking Yameen and Shakoor to the theft of millions from the country. She is accused of aiding Yameen's efforts to steal millions of dollars from government coffers. Shakoor was charged with two counts of being an accessory to embezzlement and providing false statements to investigators, court officials said. Yameen, who came to power in 2013 and jailed many of his opponents or forced them into exile, had been summoned to the Criminal Court Sunday to formally receive his indictment. He instead sent a junior lawyer to receive the document on his behalf, officials said, adding that a date for his trial had not been set. Authorities believe millions of dollars could be stashed abroad and have said talks are underway with foreign entities to repatriate any cash found. The criminal court has already frozen Yameen's local bank accounts holding about $6.5 million, a decision the former leader has appealed. There was no immediate comment from Yameen or Shakoor. Yameen, who came to power in 2013 and jailed many of his opponents or forced them into exile, has also been accused of receiving close to $1.5 million in illicit payments during his failed bid for re-election. The country's monetary authority lodged a police complaint over alleged donations made into a private account held by Yameen in the run-up to the polls.